We have previously discussed the irony of Senator Dianne Feinstein expressing outrage over the fact that her staff was subject to warrantless CIA surveillance. Feinstein’s outrage over the spying on her staff is only matched by her lack of outrage over the spying on the rest of America. However, she does have an good point to raise with regard to the role of one lawyer who seems to be dancing along the edge of both ethical and legal standards. He is the acting CIA general counsel Robert Eatinger who is believed to have played a large role in the programs and actions under investigation. Eatinger is well known to civil libertarians as someone involved in past abuses by the agency. The CIA is accused of searching the computers used by the Senate Intelligence Committee to investigate harsh interrogation techniques and removed previously available documents from the system. Almost a 1000 documents were deleted or removed in part from the computers. This obviously violated the separation of powers and core Article I authority. 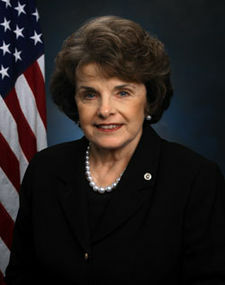 It also raises possible violations, as Feinstein states, under Fourth Amendment, the Computer Fraud and Abuse Act and Executive Order 12333. Eatinger is specifically accused of “a potential effort to intimidate” staffers. Eatinger’s role is particularly problematic because he has been the subject of congressional investigation over a variety of abuses and, as Feinstein notes, “[h]e is mentioned by name more than 1,600 times in our study.” She raises a good point of the obvious conflict of interest for Eatinger: “And now this individual is sending a crimes report to the Department of Justice on the actions of the same congressional staff who researched and drafted a report—which details how CIA officers, including the acting general counsel himself, provided inaccurate information to the Department of Justice about the program.” Of course, if Eatinger is ok with destroying evidence and violating human rights, the ethics rules may not offer much of a barrier for him. Eatinger holds an infamous position for civil libertarians and many lawyers in these scandals. He was a lawyer in the C.I.A.’s Counterterrorism Center when the agency was running the detention and interrogation program that is the subject of alleged human rights and international law violations. In 2005, the CIA destroyed videotapes of brutal interrogations of detainees. Eatinger had been one of two lawyers to approve their destruction. As I expressed at the time, it was astonishing that no one was disciplined let alone prosecuted for the destruction of the evidence. One official admitted that the CIA wanted to destroy evidence that could be used in their own criminal prosecution. Instead of being prosecuted, people like Eatinger were promoted. John Rizzo, former acting CIA general counsel, has defended Eatinger. In Rizzo’s 2013 memoir, “Company Man,” he recounts how Eatinger learned that Jose Rodriguez, head of the Counterterrorism Center, had ordered the destruction of videotapes of torture over the objections of senior CIA officials and the George W. Bush White House. Eatinger was upset but Rodriguez was citing Eatinger’s legal advice. The book says that Eatinger and another lawyer had told Rodriguez he was not barred from destroying evidence, but he never expressly authorized it. I fail to see the distinction since I view the destruction as raising serious questions of criminal conduct. In 2009, Judge Royce C. Lamberth issued an opinion that accused Eatinger, Rizzo, Radsan and other CIA employees of fraud for allegedly withholding information on a CIA operative accused in a civil case. Now his name has come up again with regard to spying on Congress and an effort to intimidate staffers investigating, among other people, Eatinger himself. Eatinger’s career speaks volumes about the lack of serious deterrent or accountability among intelligence officials. He is the very personification of an intelligence community that has become dangerously independent and unchecked. It was only a matter of time before that sense of impunity would result in the agency defying Congress itself. The latest scandal shows the sense of absolute immunity enjoyed by intelligence officials — that sense is the result of years of acquiescence and passivity by Congress and the courts. If Eatinger is denounced as the manifestation of the arrogance in the intelligence community, Congress has been the enabler of such attitudes. Even in the face of perjury, Congress (and specifically Feinstein’s committee) has looked the other way and scrupled efforts to investigate. Ironically, civil libertarians have not been particularly hopeful about the report from a committee long viewed as a rubber stamp for the intelligence agencies. Yet, the very fact that we are debating how this is going to turn out shows the degree to which the “fourth branch” now challenges our constitutional system, as discussed in an earlier column. 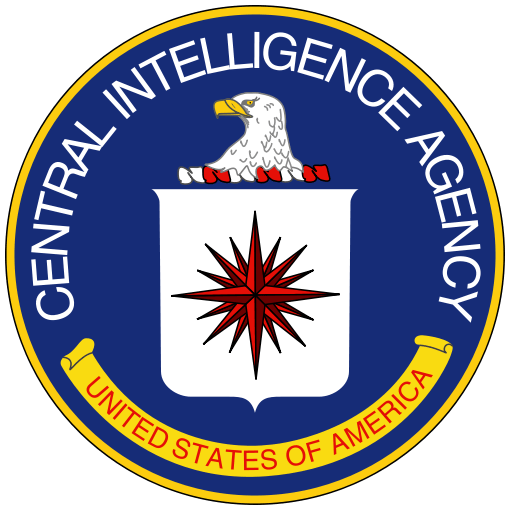 The CIA is pushing back on this scandal and defending Eatinger’s role combating an investigation into his own conduct and those of his colleagues. This is after the agency has delayed the release of a report on these programs by controlling classified material and witnesses. The ethics rules allow government lawyers to continue to work in areas of conflicts as long as they have a waiver from their agency — an often meaningless distinction in small legal shops like the CIA General Counsel’s office. Yet, it will be interesting to see if Eatinger received such a written waiver from the CIA director. In this case, it is highly troubling to have Eatinger involved in any aspect of the investigation when he could face personal repercussions from the conclusions of the Committee. If a waiver was given, it was a poor decision by the CIA director that itself raises questions over his judgment and commitment to the resolution of these serious allegations. I have litigated the issue of such conflicts of interest by agency lawyers, including the ongoing controversy in the World Bank case. In this case, Eatinger is involved in seeking a criminal investigation of investigators who have been questioning his role in not just an alleged torture program but the destruction of evidence of torture. To ask for a waiver in such a case would show a lack of professional judgment. To sign such a waiver would show an equal lack of judgment. CIA Director John Brennan scoffed at the notion that the agency would commit such actions as “beyond the scope” of reason. He insists that they would just not do such a thing. Someone needs to remind him that the CIA is being investigated for torture, evidence destruction, and other major crimes. The “trust us we are the CIA” approach may not work particularly well in this case, even if it has apparently succeeded for years before this very Committee. Pingback: Tom Engelhardt: Who rules Washington?